Probiohealth Philippines Inc. is a local company founded in 2009 as a pharmaceutical distributor for Probiohealth LLC, a California-based nutraceutical/dietary supplement company owned by Japanese-American, Yoshiteru Koide. 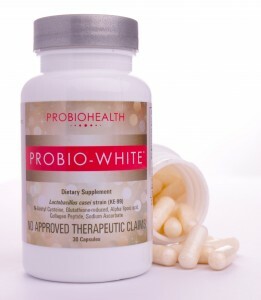 The main objectives of Probiohealth are to manufacture and distribute scientifically validated probiotic products in combination with natural bioactive ingredients. After years of rigorous screening procedures, the isolation of the patented strain, Lactobacillus casei KE-99, has become the inspiration for the company to continue its research that paved way to different product developments and the creation of innovative and unique formulations. In year 2000, Probiohealth has successfully launched its first product, KE-99 Lacto into the market. In 2009, It was launched in the Philippines. Probiohealth Philippines Inc. is one of the very few companies in the Philippines that conducts research and validates the effectiveness of its products in collaboration with a leading Biomedical Research Laboratory in California.Probiohealth’s Mission is to translate scientific data and research into real benefits of mankind. Probiohealthis currently present in U.S.A., Japan, and Philippines. Probiohealth fully recognizes that a strong technical teamwork is the fundamental backbone for its probiotic commercialization. Accordingly, Probiohealth is supported by a cutting-edge R&D laboratory group for new product development; several leading scientific investigators from academia as well as clinical institutions around the world for scientific advisory and validations; fermentation, manufacturing and packaging facilities with standardized GMPs, critical controls and certifications; and finally a stringent Q/A and Q/C program with a Multi Point Product Variability Check System.